Last month saw the launch of the new television homepages for BBC One, Two, Three and Four. 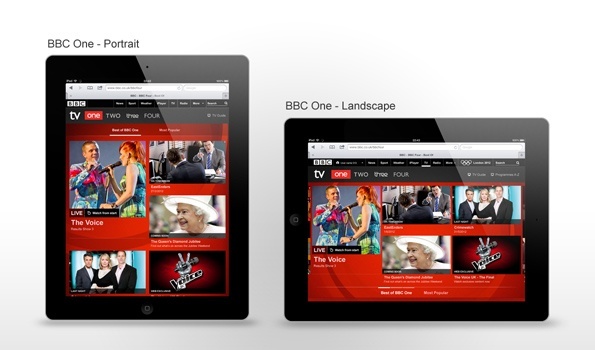 The BBC has been redesigned to work on a range of mobile devices and screen sizes, including touchscreen, keypad or trackball-enabled contraptions. So, now when you browse the mobile site, what you see will be tailored specifically for the device you’re using. This new approach is called Responsive Web design. This is where, as you might have guessed, the layout of a Web page adapts the design to suit the platform on which it is being viewed. Responsive design is fast becoming the best way to develop websites for users to experience the best from your site, no matter what device they choose to view it from. It also removes the costly redevelopment of a website, in mobile format or APP.